Majestic, nostalgic, discreet, a real Lady in the middle of the Aegean Sea, bathed in a unique Ionian light and the generous Mediterranean sun, full of fragrances, the island of the mastic, the poets, the philosophers, the people of spirit but also those of commerce, the mother of seamen, the island of Chios. Charged with long historic memory, she patiently listens to age-old secrets whispered to her by the summer breeze and the sweet winter wind. Once in hospitable Chios, you can feel the medieval romanticism, seek the Glory that lightly treads the heroic Psara of the poet and let the mermaid welcome you at the colourful sea-mastering Oinousses. Idyllic landscapes, crystal-clear waters, alternating images, the celebrated local architecture, an original island lifestyle and a civilized atmosphere with soft cosmopolitan hues will captivate your senses and hearts. 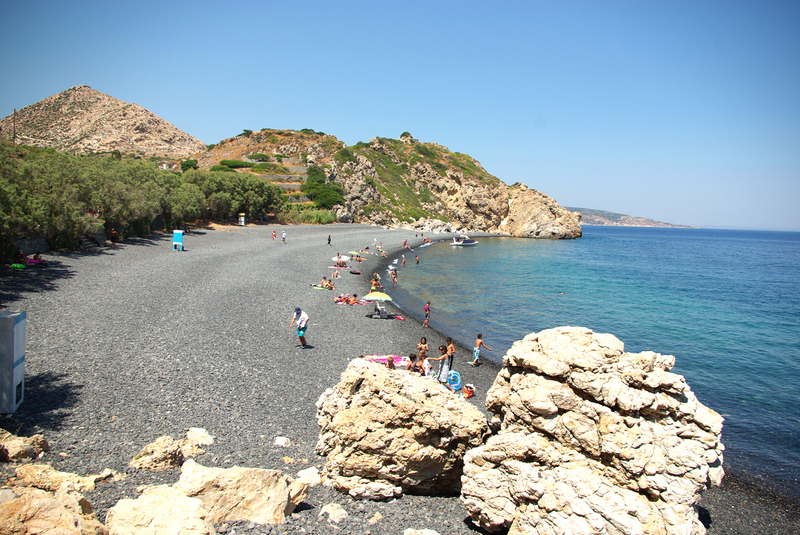 A large island with year-round residents and a healthy economy, Chios is equally a centre of attraction for those seeking an alternative form of tourism and the ordinary visitors. 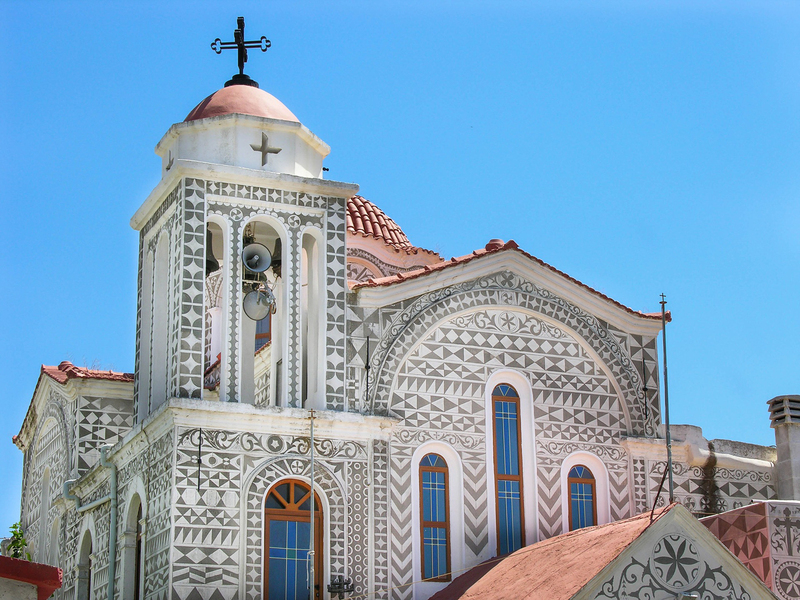 Built half way through the eastern coastline of the island and right across from the Ionian land, Chios Town is where tradition and modernity join forces in a unique fashion. Half of the island’s population live here, either working or attending the local University. Visit Campos, where magnificent structures are harmoniously incorporated into a traditionally cultivated natural landscape, unique of its kind in Greece. Enter the Genovese Towers and the churches with the elegant bell-towers “peeking” through a forest of citrus trees, jasmine plants and myriads of fragrances. 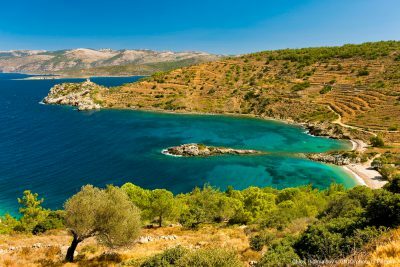 The northern part of Chios is dominated by mountains and rocky terrain covered with pinetrees, cypresses and planes as well as shrubs. Herbs including Sage, Thyme and Origanum are in abundance and they contribute in great measure to the sweet perfumes which pervade the air of Chios during the flowering period. Southern Chios is characterized by the well-known mastic trees. It is an evergreen bush which stretches up to 2 to 3 meters in height and produces the resinous mastic in the southern part of the island. Olive tress can be found all over the island, as well as vineyards producing the Ariousios wine-grape variety. The pristine beaches in Karfa, Aghia Hermioni, Komi, Emporeio and elsewhere complete the picture of the land of mastic in the south of the island. Here the local tulip and the Persian cyclamens bloom together with numerous rare orchid varieties, amid the scattered medieval settlements and the unique mastic-tree forests. The visitors are awaited with rare pictures and experiences at the villages of Pyrgi, Mesta, Olympoi (enter the fantastic cave here) and the rest of the fortified villages. 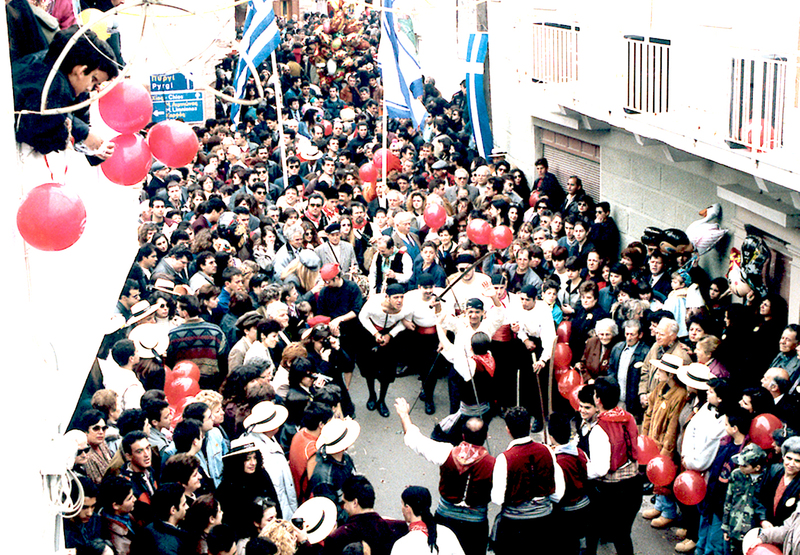 The northeastern section of the island has been renowned for its seafaring tradition since antiquity. Small, quaint coastal towns such as Vrontados, Lagada and Kardamyla give off a cosmopolitan air in a natural environment. Hundreds of churches and monasteries, with the Byzantine Nea Moni in the lead, attract the fans of art, history and tradition every year. The fortified village of Anavatos adds one more brush-stroke to the mosaic of the visitor’s choices. 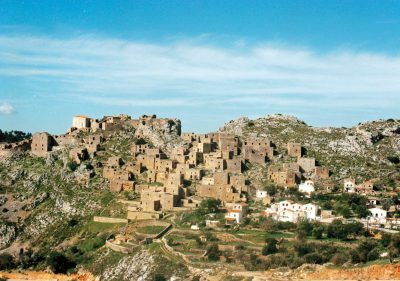 Built on the northwestern part of the island, the head-village of Volissos is surrounded by a cluster of traditional farming and stock raising villages forming the Municipality of Amani. Here visitors can enjoy many natural and fascinating trekking routes. 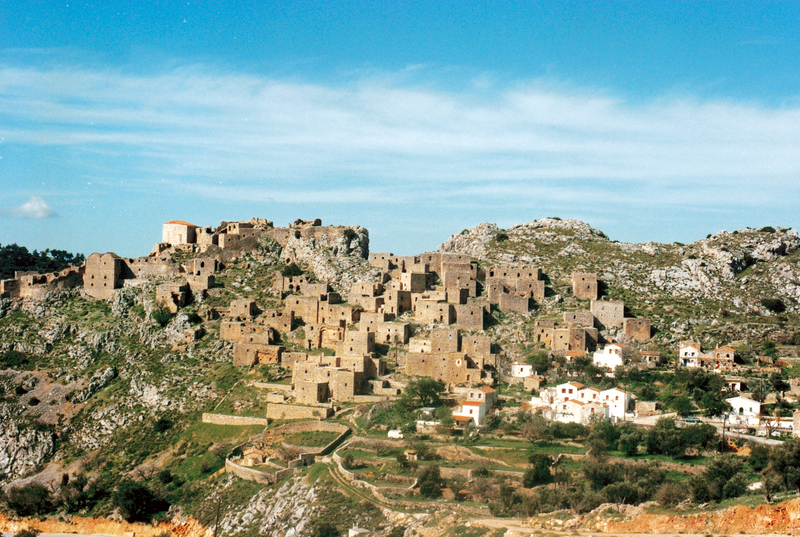 Not far from Volissos, is the pilgrimage site of St. Markella, the most popular among the local saints. 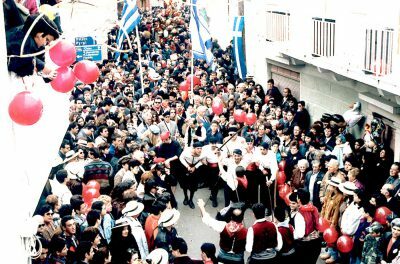 Chios boasts an intense spiritual life and extensive cultural activity. There is infrastructure for year-round organization of Congresses, Festivals, theatrical plays and much more. Information about sightseeing tours, historic and natural trekking paths, as well as on alternative activities can be obtained at ENA Chios S.A.
Quite and clean pensions, but also luxurious hotels, await to accommodate you in this peaceful, unspoilt, colourful, exquisite and unique Aegean island. The wildflowers of Chios can be enjoyed by visitors throughout the year. 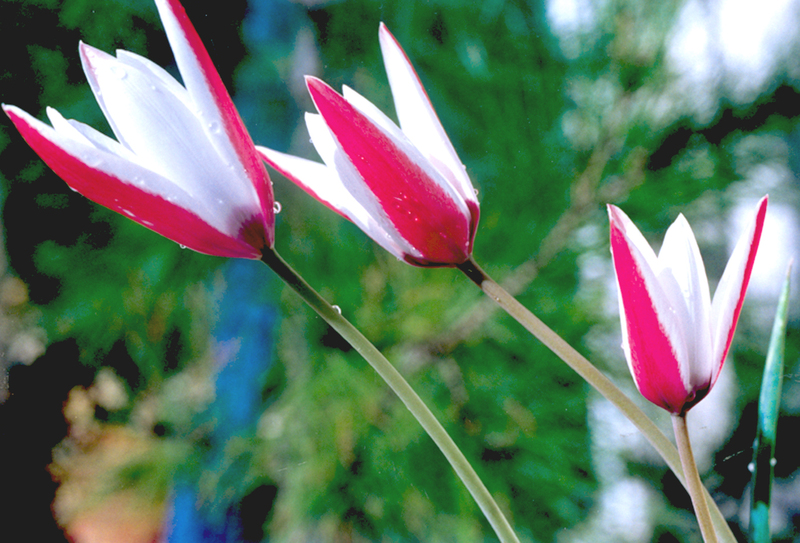 Autumn and winter landscapes have fine showings of Colchicum, Cyclamen, Crocus, Sternbergia and many other plants. Spring ushers in a magical show of flowers and as the season progresses a succession of many different species of flowers reveal themselves and paint the landscapes in an ever changing palette of colors. The mountain slopes are colorful carpets of numerous species of flowering plants in April, reminiscent of alpine meadows. Chios is distinguished for its wide range of wild flowers, among which are orchids and lalades (tulips). There are 102 species of self-sown orchid on Chios, many of which are rare. Anacamtis pyramidalis, Dactylorhiza romana and Gymnodemnia conopsea are just a few of the many orchids to be found on Chios which is among the top orchid-rich sites in the Mediterranean. They grow among bushes, forest clearings, olive groves, rocks, at the edges of fields and roads, in fallow fields and meadows. Northern Chios has been included in the Natura program due to its wealth of flora.